Thanks for sharing your Heather with us.RIP sweet angel girl. I am so, so sorry for your loss. So many are grieving with you and your Scottie family. May you find peace in the vision of sweet Heather is now frolicking freely on the other side of the Rainbow Bridge. Much love to you and your family. Thanks for letting us in on Heather's adventures. I am heartbroken for you as I know the pain. Peace, love and hugs to all of you. Hug them close and know she is running free at the Bridge. We have no words. Sending our very deepest sympathy to all of you. Heather and her beautiful smile will be greatly missed. She is out of pain now. I am so very sorry that she has passed. I saw the picture with the gang around her keeping her company. Thank you for sharing Heather with us. Sending prayers to you and your family with love and hugs. Pat & Bentley my Wheaten boy. Thank you for sharing your journey with Heather. We have loved every moment of it. A heartbreaking loss. So sad for you and the rest of the pack. Your stories about your little girl brought such joy. Heather Beather, sweet girl, trotting over the Rainbow Bridge. Sending hugs from South Africa from me, and AROOOS from Haggis and Lucy. Thank you so much for sharing your sweet Heather, and the rest of the pack, with us. As difficult as it was to read about her illness and decline, I am devastated to hear that she has gone over the Rainbow Bridge. I am amazed at your unwavering grace through all of this. Heather was so very lucky to have you as her mom, to watch after her, do all you could for her, and also make all the right decisions for her. My heart breaks for you, and I offer you my deepest condolences. Extra hugs to Mr. K, Nibbles and Pudley, who will also, no doubt, be missing her. We are grieving with you, Scottie Mom. This was a beautiful and touching poem to read. It brought more than a tear to our eyes. Heather was clearly so incredibly loved. We truly are thinking of you and your Scottie family today. I am without words as I was when I had to go through it with my girl. I'm so sorry. Tears and big hugs for you! Mac is waiting at the RB to show HB where ALL the treats are! Thoughts, prayers, and hugs from one Scottie mom to another. 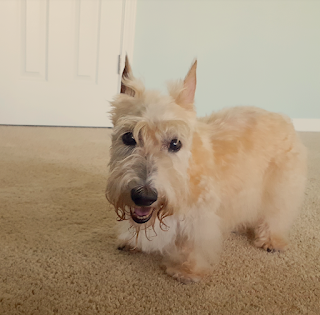 I lost my Scottie on 3.4.16. The hardest thing I have ever been thru. I pray God carries u and your Scotties thru this difficult time. You gave her a great and full life. Her ailments are over. Kyla will show her the ropes at the bridge. Heather will be dearly remembered. I am so sorry....I am broken hearted with you. Loved seeing that beautiful smile. Godspeed, sweet Heather. I had just read your blog from yesterday and was prepared to write to you about your words of wisdom.It was a beautiful piece and I will treasure it. Thank you so much for those words. Please accept my sincere sympathy for your lose of Heather. I will light my eternal candle in her honor for the next seven days. it is an old custom that brings some help to people. I hope that you approve. Beautiful tribute. So sorry for your loss. I'm grieved indeed. Thank you for sharing her with us. Now a small tribute for this lovely soul. You had the power to change any weather. With your brother Mr. K.
To follow Scottie Mom's posts without you. In our hearts you came to stay. Mr. K would not feel beaten. His face when you were better. To comfort him every day. We are sure all 2 and 4 footed members of Heather's family are missing her something fierce. 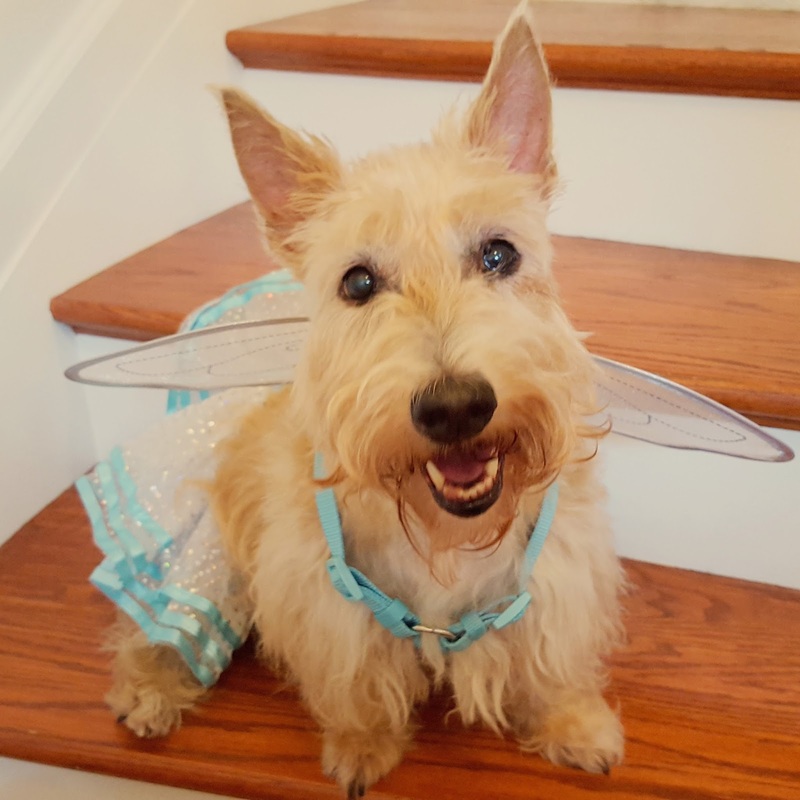 I think many of us read your post and thought about our own Scotties who earned their wings. 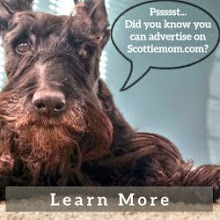 Scotties have a way of always being members of your family...even when it's just their memory. Thank you for sharing Heather with us. Arrooooos and love from CA. Colin McDuff and I send loving wishes of comfort to ScottieMom and her gang. Heather will be missed by all who read of her adventures and loved seeing her beautiful photos. May the Earth rest so lightly over Heather that her soul may be out from under it quickly; up and off and on its way. So sorry sending hugs at this sad time. Our deepest sympathy on your loss. There is nothing I can say to console you; our Scotties are with us all too short a time. 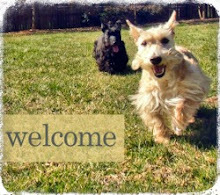 Hugs to the Scottie Mom family from Wendy and Kiltie. Such a gorgeous girl. Hugs to you.. I am so very, very sorry to read of Heather's passing. Sending love to your family. Jack and Arya and I are thinking of you. What a beautiful tribute. Blessings! So, so sorry. Stuart was there to greet her. Along with so many furiends. She's healthy and running free! Stay Scottie strong my friend. We are so sorry to hear a sweet arrrooooo has gone silent in the precious Scottie choir. We will be listening on the wind for an echo from heaven as she runs free with Arrooos of joy.